Nanolive has added a new Distributor for South Korea: JSK Biomed. JSK Biomed has been dedicated to supplying research instruments including cell metabolism analyzesr to Korean customers. Thanks to its experience advantage, they are one of the well-known research instrument providers in many cell research areas such as metabolism, stem cell, cancer, immunology and besides others. “When I first heard about Nanolive, I had full confidence that many of our existing and potential customers will definitely love it once they taste it, as they will see unrevealed parts of cells and their behaviors in 3D very simply that never have been observed by conventional microscopes. 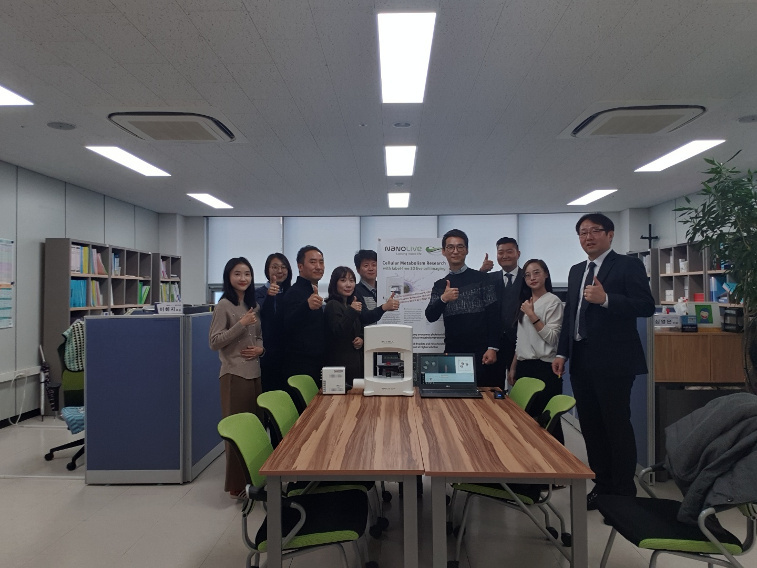 Now we are very excited to introduce this innovative and tremendous world’s first holotomograhic microscope to our customers and very happy to be working with Nanolive SA as Korean distributor, ” says Dennis Ko, the Head of the Life Science Division at JSK Biomed.